Xuron® Model TK 3300 Tool Kit features Light-Touch™ return spring. Housed in handy canvas travel pouch, Xuron® Model TK 3300 Radio Control Tool Kit includes Model 2175 Maxi-Shear™ flush cutter for soft wire and materials up to 12 AWG, Model 2193 hard wire cutter for hard wire up to 1 mm diameter and Model 501 adjustable wire stripper for accommodating wires from 10 to 26 AWG. Tools are made of carbon steel and feature cushioned rubber hand grips. Xuron TK2600 Bead Stringer's Tool Kit features glare-eliminating black finish. 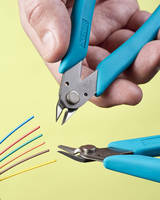 Wire Tech Tool Kit includes 3 essential, ergonomic hand tools. 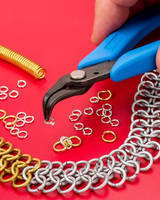 Chainmaille Pliers Kit optimizes user comfort and control. Hand Tools suit 3D printing applications. 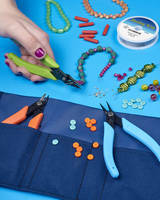 Ergonomic Scissors grip and cut aramid woven cloth fabric. 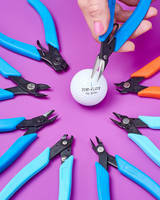 90 Degree Bent Nose Pliers pick up tiny objects without strain. 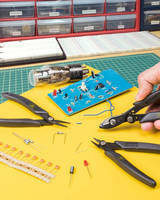 Electronics Tool Kit fosters ESD-safe assembly and repair.